Fortunately we have the Feds. That would be the Talking Feds, a brand new podcast that’s storming up the charts each week. The Talking Feds podcast is hosted by former US Attorney Harry Litman, is a weekly roundtable discussion that brings together some of the most well-known former prosecutors in the country for a dynamic and entertaining analysis of the most pressing questions in high-profile criminal cases, including the Mueller probe and related investigations. Regular guests include Barbara McQuade, Mimi Rocah, Paul Fishman, Matthew Miller, and features a segment I love called Sidebar, where people like Rob Reiner, Phillip Glass and Lori Anderson explain the core legal concepts behind the Mueller Report and associated investigations. Subscribe now wherever you get your podcasts. Reshma Saujani, CEO and Founder of Girls Who Code, has run for office twice, and failed. But exercising her bravery muscle led her to start Girls Who Code, the nonprofit that has reached more than 90,000 girls with its computer education programs and message of sisterhood. Join Reshma on her mission to show that being brave, not perfect, is the secret to changing the world. The Brave, Not Perfect podcast brings you interviews with change makers from all walks of life, with one thing in common. They decided it was better to be brave, not perfect. Brave, Not Perfect lives on the Anchor podcast platform and all other podcast platforms. Hold on to your uterus, we’re going Under the Hood. WomanHOOD. MotherHOOD. SisterHOOD. Aleks is a licensed midwife, Patti is a birth worker and a pre- and post-natal yoga teacher. Join them as they take a deep dive into the topics you wish you knew more about, the topics you want to share with your daughters, and the things you’d like the people in your life to understand about you. Season 2 of Under The Hood returns this spring! Dr. Michele Cooley-Strickland is a licensed clinical psychologist. Melanie Barr-Levey is founder of She Built It. Together they want to help you make the leap in your life and career. Melanie and Dr. Michele as well as their guests share career success stories, and the challenges they’ve faced along the way. 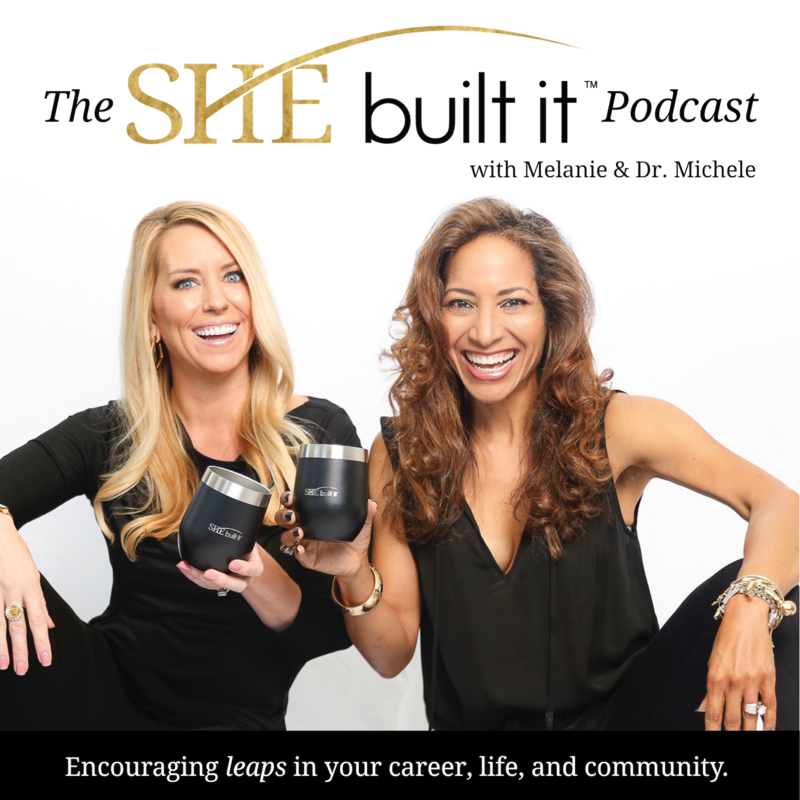 The She Built It podcast is available on all podcast platforms. Clever is a wonderful podcast about design and designers. They’ve interviewed some incredible designers you know and don’t know. My favorite is an episode with Todd Oldham. Amy Devers and Jaime Derringer really dive in with their guests, finding out all about what led them to design, their philosophy of design and life, and so much more. Clever is often featured at some really great live events, including that time we all ended up in an Airstream trailer with Aaron Draplin and Jessica Hische, and a wonderful recent event at Helms Bakery, highlighting the people who are combatting knockoffs in the design industry. Check out our live events page for lots of fun pictures. Blockchain technology is about to transform every trust-based interaction of our lives, from financial services to identity, from health care to our Internet of Things devices. In this podcast, host Laura Shin talks with industry pioneers across tech, financial services, health care, government and other sectors about how the blockchain and cryptocurrency will open up new opportunities for incumbents, startups and everyday people to interact more efficiently, directly and globally. And many more coming soon to earbuds near you!